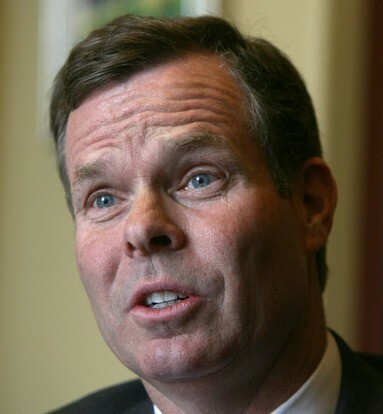 SALT LAKE CITY (Legal Newsline) -- A Utah House panel, as part of its investigation into embattled Attorney General John Swallow, is demanding the attorney general turn over any and all records of gifts or favors he received from various businessmen. The Associated Press reported late Thursday the panel wants documents on air travel, meals, entertainment, lodging -- even spa vacations -- that Swallow or any of his family members received from St. George businessman Jeremy Johnson or others. A spokesman for Swallow told the AP the attorney general will comply with the subpoena. He has until Oct. 11 to turn over the documents. Swallow, a Republican, has been accused of ethics and election law violations and is being investigated by not only the Utah House, but also the Utah Bar Association, the Lieutenant Governor's Office and the Salt Lake County District Attorney's Office. The U.S. Department of Justice, which worked in coordination with the FBI, notified Swallow's attorney earlier this month that no charges were being brought against the attorney general. The U.S. Attorney's Office for Utah confirmed in January that Swallow was being investigated, in coordination with the DOJ and FBI, for allegations that he helped make a federal investigation into Johnson go away. Johnson is accused of running a multi-million-dollar fraudulent software scheme in which he billed hundreds of thousands of consumers for products they never ordered. He alleged that Swallow arranged a deal to pay U.S. Senate Majority Leader Harry Reid, D-Nev., to stop a Federal Trade Commission investigation into his business.